VPNs use certificates and keys. 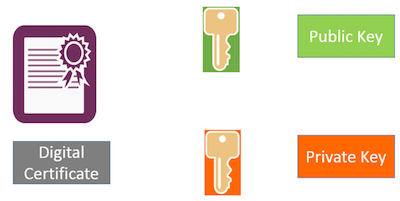 We’re going to spend some time building certificates and keys, so we should get clear on what they are. A certificate is used to prove who you are. (More accurately, it proves that a computer is who it says it is.) A driver’s license is an example of a non-computer certificate. A key is used to lock/unlock something. (More accurately, it encrypts or decrypts something.) The key to your front door is an example of a non-computer key. Certificates and encryption are what make OpenVPN secure. Managing client certificates is a big part of managing any VPN server. I’m going to generate a server certificate and I’m going to generate many client certificates. It will be more than I think I’ll need, but I’ll go ahead and generate them all now, before I forget how. I’ll use a tool called easy-rsa.